Have You Heard of Open-Book Management? 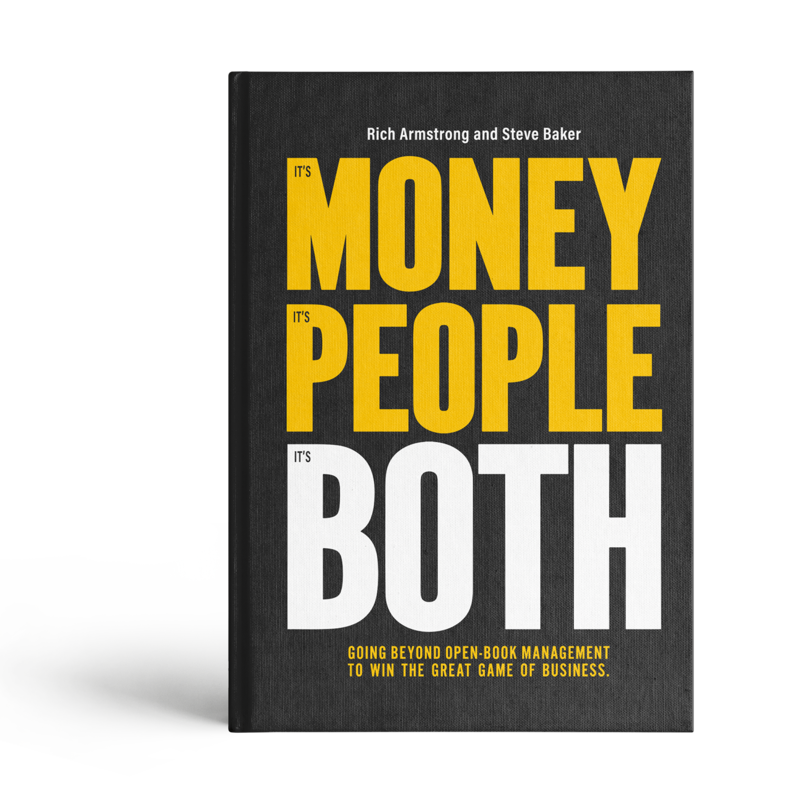 If you’ve heard of open-book management, you might understand it to mean “sharing financial information with employees.” Although that’s true, it’s only one small piece of a much larger operating system—The Great Game of Business. You can share all the financial data in the world with your employees, but the questions are: Will they understand it? And what will they do with it? The Great Game of Business is a way of running a company that gets everyone—at all levels of the business—as informed, involved and engaged as the owner is in making the company successful. It’s about fully engaging employees by teaching them how the business works and what’s critical to its success. Treating business as if it's a game is not our way of trivializing business. Rather, it's a way to explain business in the most simple and unintimidating way possible, get everyone on the same “playing field” and tap into the universal human desire to win. Business Transparency and Education: Opening the books only works when people are taught to understand them, which is best done both formally and informally. High-Involvement Planning™: When The Game is created with broad participation – specifically the people who are closest to the action and who understand the realities – it creates a level of commitment and alignment that just can’t be matched. 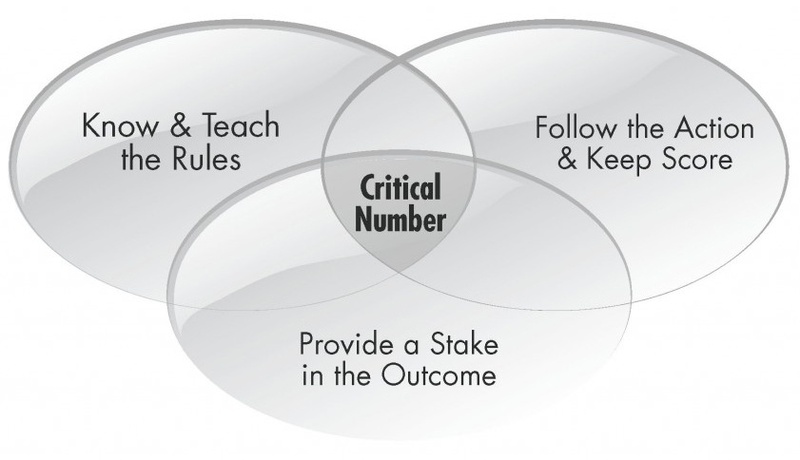 The Critical Number™: This is the financial or operational number that defines winning. When correctly identified through High-Involvement Planning, targeted and tied to a reward, the Critical Number becomes the focus of the Game for everyone in the organization. Keep Score: There’s an old saying, “If you’re not keeping score, it’s only practice.” The objective of keeping score is to simply and consistently inform the players if they are winning or losing, and who is accountable. Follow the Action: Huddles provide a rhythm of communication where everyone is kept informed, involved and engaged in moving the company forward. Forward Forecasting: You can’t change history. Forecasting is the fundamental way GGOB companies communicate the numbers and create forward-looking, educational and results-oriented huddles. Rewards, Recognition: All who directly participate in strengthening the company likely do so because they have some form of a stake in the outcome. They come to work to win, because they know their work will result in significant reward, recognition and ownership in the outcome. MiniGames™: Short term, intensely focused, rapid improvement campaigns that affect a change, correct a weakness or pursue an opportunity. Like the big Game, there is a goal, a scoreboard and a reward for winning. Ownership: Not all companies who play the Game can or will share equity, nor is it a guarantee of success. But getting employees to think and act like owners is one of the most powerful things any leader can do to create measurable and sustainable success in any organization. QuickStart: The 90 Day Challenge will put your on the path to success.